Welkom op de website voor Regionale Anesthesie - Nederland. 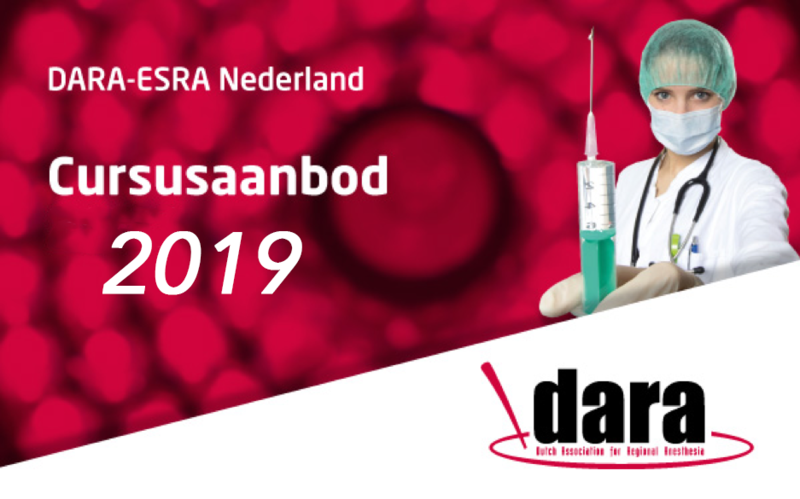 Dara-esra.nl is de website van de Dutch Association for Regional Anesthesia en de Nederlandse divisie van de European Society of Regional Anaesthesia. De belangstelling voor Regionale Anesthesie heeft de laatste jaren binnen Nederland een enorme vlucht genomen. DARA biedt de mogelijkheid voor Nederlandse anesthesiologen om zich hierin te bekwamen door DARA Cursussen. Ook organiseert de DARA jaarlijks een symposium waar diverse actuele onderwerpen op gebied van regionale anesthesie en pijnbestrijding aan bod komen samen met hands-on workshops. Met deze site wil DARA u een platform bieden waar u makkelijk informatie vindt op het gebied van regionale anesthesie. Als u lid bent van de DARA geniet u een aantal voordelen: korting op cursussen en symposia, handboek gratis te downloaden, toegang tot ledenlijst, inzage in notulen en agenda van de Algemene Leden Vergadering. U wordt automatisch lid van de DARA door als Nederlands anesthesioloog lid te worden van de ESRA. 2nd European Day of Regional Anaesthesia 26-1-2018, AMC Amsterdam. Direct inschrijven kan via deze link. Meer informatie? Klik hier. Direct inschrijven kan via deze link. The European Diploma in Regional Anaesthesia & Acute Pain Management was created in 2005 with the goal of establishing standards in regional anaesthesia in Europe. The Diploma was intended to widen the activity spectrum of those specialists in anaesthesia, who are already in clinical practice and are interested in acquiring additional knowledge in the entire field of regional anaesthesia and acute pain management. The concept of ESRA and CME/CDP approved courses and workshops, take into account the knowledge level of reasonably experienced clinicians. The salient points of different techniques, the overall strategies for their use, as well as their advantages and risks, have been stressed during the courses and workshops visited by all candidates. Regional techniques are integral components of anaesthesia and are frequently administered to the high-risk patients, ranging from newborns to the frail elderly. Therefore, the objective of the examination, is to treat defined subjects in an encompassing way, with sound knowledge of anatomy, physiology and pharmacology related to regional anaesthesia, as well as skills in block performance, in a holistic context. A proper approach to acute pain management, is mandatory in the clinical practice of anaesthesia and its knowledge is part of the content of the EDRA examination. The EDRA examination takes place each year at the ESRA Annual meeting in September. It is split in two parts over two years. Applications for EDRA 2016 during the 35th Annual ESRA Congress in Maastricht, the Netherlands will open inspring 2016. The examination fee for each part is €120 (€50/retake) and must be paid in advance upon confirmation of application, using the EDRA payment form. Please note that checks are not accepted. EDRA results are communicated by email within one month after the day of examination. Unsuccessful participants will be allowed to retake the failed exam at the next ESRA annual meeting with no additional requirements. You will find below the list of diplomates that completed the EDRA examination. The use of the EDRA logo is strictly reserved for the European Society of Regional Anaesthesia and Pain Therapy (ESRA). The sentence “Counts towards the EDRA” can only be used on CME accredited workshop material. A workshop organized by a national society affiliated to ESRA is only valid if it is CME accredited.